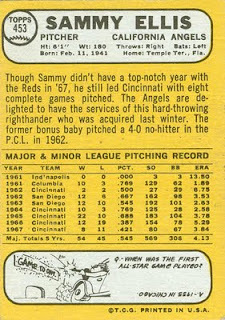 Sammy Ellis had a 7-year career as a starting pitcher in the 1960s, mostly with the Reds. He was signed by Cincinnati in 1961, and although he appeared in 7 games for the Reds in 1962, he spent most of 1961-63 in the minors. 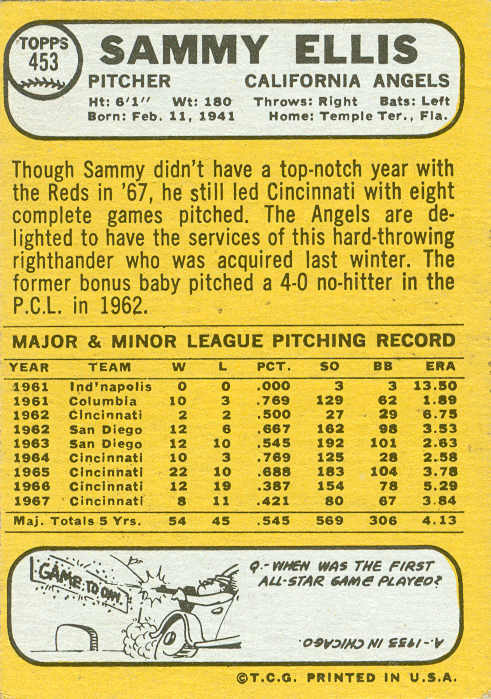 In his rookie season of 1964, Sammy led the bullpen with 52 games, 122 innings, and 14 saves. The following season, he joined the rotation and compiled a 22-10 record, which, along with Jim Maloney's 20-9 gave the Reds a nice one-two punch. After slipping to 12-19 in 1966 and 8-11 in 1967, Ellis was shipped off to the Angels for pitcher Bill Kelso. 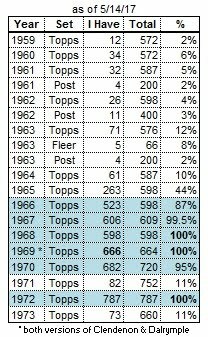 His one season in California was more of the same (9-10 record), and Sammy was traded to the White Sox in January 1969 for outfielder Bill Voss. After only 10 games with Chicago, he was traded to the Indians for pitcher Jack Hamilton, and was assigned to triple-A for the remainder of the season. Ellis' final major-league game was in June 1969. 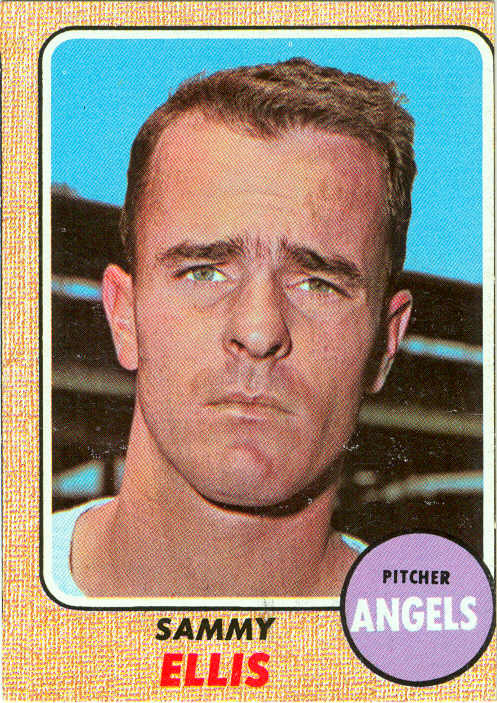 His last baseball card was also in 1969. He spent the next 2 seasons in the minors before retiring. 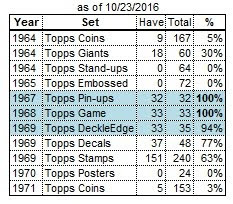 IN his cards year in and year out Sammy Ellis is the most melancholy player I've seen on a card. I was going to say the "this side of Sam McDowell" but McDowell looked mad as hell someone dared to take his photo. 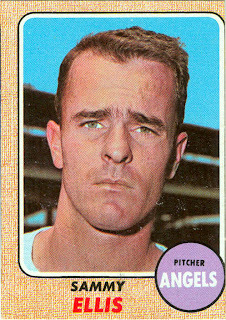 Oddly enough a 1966 card of a Sam Ellis looks like a pretty happy guy. Must be the variation of the name.